Teslagrad, after a fairly lengthy wait, will be bringing its magnetic charm to the Wii U eShop soon; it arrives on 11th September in North America and Europe priced at £13.99 / €14.99 / $14.99 — there are also plans for an eventual physical retail release. The developer is clearly excited that the Wii U version is finally approaching release, however, and game artist Ole Ivar Rudi has posted a rather neat amendment to Nintendo of America's recent graphic showing upcoming games on the home console. NoA's effort was actually a little iffy, listing Affordable Space Adventures for October when the developer's made clear that's not the case, so another amendment does no harm. Nintendo's line-up largely confirms vague release windows that have already been announced, but this version with Teslagrad is definitely better. We enjoyed the game in our first impressions article last year and spoke to the developers about the project, if you want to know a bit more. Are you excited about this title's arrival next week? Oh, crap! It's here, already? Yeah, Nintendo's list would be a LOT longer if they include all the upcoming indie games. I'm so hype for this game. Day one purchase for me. This and Shovel Knight are THE games of the next few months for me. I've been waiting for it a long time and even passed on a discount on PC because I want to play it on WiiU and show them that we'll buy their games. Woah! Hyrule warriors in like 24 days! So much content this fall, that I'm starting to forget the dates! Finally!!! It is time to get a shop card again and prepare for this. Looks too good to pass up! Been waiting so long for this, can't wait! When I heard about PSHD's troubles with Microsoft and the many delays they faced, Teslagrad basically jumped in and claimed their spot as my most wanted Wii U indie. Day 1 for sure. As long as Shantae, the Swapper, Tengami and PSHD make it before the end of the year, it'll be a great fall / winter for Wii U gaming! I don't see how they can justify the price of double the Steam one. (Unless it is going to have twice the content). This is ignoring sales just the RRP. Love the sense of humour. I will then get a $35 card for this, Gunvolt and Tappingo 2. @MrWalkieTalkie Yes, the 2 indies mentioned by NoA in the Twitter list were rather high-profile Wii U exclusives. 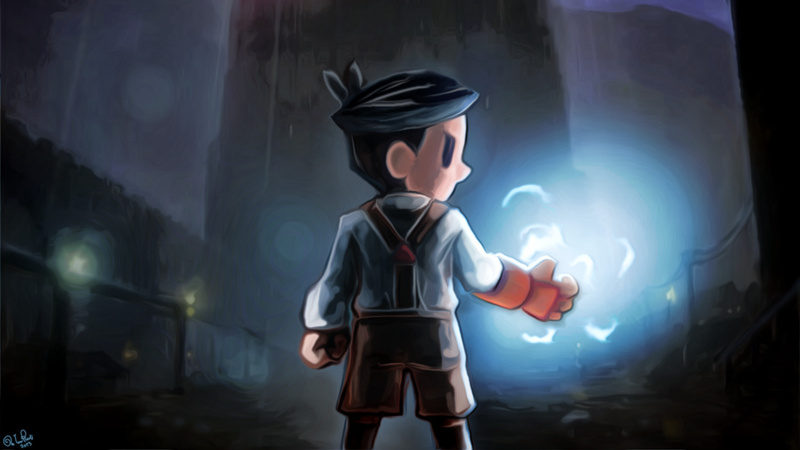 Anyhow, I'm really looking forward to Teslagrad! will certainly be getting this, though I am curious to know how the dev arrived at the various prices for different regions? EDIT: perhaps that sounds quite antagonistic? I don't mean it to, I genuinely have no idea how exactly these things are decided and would like to be enlightened. I was holding of getting this on Steam until I found out the price, but I think I'll get it now that it's half the price. hi! the price conversions in the various regions are calculated using a standardized recommended conversion rates sheet. the price difference between pc and consoles is mainly to pay for six months of porting and bug fixes (unity simplifies the process but it's by no means a one button process), not to mention age ratings for every region, which is obligatory for console releases and can get pretty costly. nintendo recommends healthy pricing practices. Not going to elaborate too much on this, but the race to the bottom and "not buying till it's 75% off" trend in pc game pricing is pretty bad for indies. Any chance it will make its way to the Australian eshop as well? So has anynody seen this in the wild ie retailers or magazines or dare I say tv? I havent even seen it on here until now. They should fold it in half and stick it inside every 3DS Family game case. Heck just plaster it everywhere. Though I suppose if they want to wait until SSB and CTTT have months rather than holiday... just dont wait too long. Oh, I know, based on its shape they should include this as a temporary tattoo inside every package of Furious Fists, I know those things are flying off the shelves. @ollibald I'd just charge what you think it's worth, racing to the bottom is always bad. I buy games that are worth my time, not games that are worth my chinese takeout, personally. I saw it at the forums, so I thought your date obsession would make you find it. Anyway, the thing is not even worth it as Bayonetta only says October and as this article mentions, Affordable is not correct. The whole thing is made up of things we already knew or less. I think Sonic Boom already has a date as well. I do admit that I am surprised to see Guard and Robot as their own games as opposed to being parts of Starfox. Geez, I remember back when this game was supposed to release around December, 2013. Stealth Inc. 2 is missing too, among others, and that game will be huge if you believe me. Awesome can't wait for this game. So just don't join the next Indie Bundle or I'll feel betrayed like with the majority of indie games I own on my Wii U, would you? Current exchange rates €14.99 = £11.91. Sorry, not buying this at £13.99 on principle. Why should UK gamers have to pay 2 quid more than gamers in the Eurozone? Also, I'm with unrandomsam on this one. I still don't see the justification for a 100% price increase. Sorry. Some costs just have to be absorbed to reach new markets, especially when those markets may also have access to your product at a lower price on a different platform. that's a perfectly valid stance, we wound up using the rates recommended to us and though i think it's worth the asking price i agree that uneven pricing across european markets isn't really ideal. We'll probably do discount campaigns on the wii u version as well down the line, so i hope we'll reach a price point you'll find more agreeable then! @AJWolfTill awesome, thanks a lot! it's taken a lot longer than we anticipated to get it ready for release, so it's quite a relief to finally be able to! @ollibald mind you if I ask how many did you work on the game? I'm very curious about everything videogame development related, thanks. Does someone know what's displayed on the gamepad? I'm currently playing Child of Light and I hate that they simply stream the TV on the gamepad. There's no use in having the same screen twice. Even simple menu options, a map or inventory on the gamepad are enough for me. we have a really small one room office, so most of the time there's been 4 people working full time, with 4 more people working part time and a few others helping out from time to time. we started planning the game in 2010. we've spent about 27 thousand hours making it so far. @MajinSoul If you're playing on the tv, we show the ingame map on the gamepad screen, but we support offscreen play as well. "things we already knew or less." I'ld like to emphasize the "we" in that. Not just you me and Jax but the entire NL community. We know about this stuff, but I want all the moms and dads out Christmas shopping this year to see this before they buy their kid a PS4 or X1 to play old PS3 and Xbox360 games. Wii U still feels like it doesn't exist in the public conscious to me, and with that line-up that shouldn't be the case. Now if people don't want to buy it b/c it doesn't have Madden or Halo or Wii is still getting all the same games so why upgrade, well that's fine, but I feel like people aren't even talking themselves out of buying Wii U b/c a lot of people still don't even know it exists. Posters like this - w/ correct info natch - should be all over TRU, Target, WalMart. People who shop in Gamestop probably know the Wii U exists but they want Destiny and MGS. And that poster needs to have amiibo scattered all over it. They REALLY need to start advertising those. @ollibald That's awesome and exactly what I hoped for. Thanks for the reply. This can't come soon enough! I'm in need of new games. ...and even though I already have too many, I'm not going to force myself to play every game I buy just for the sake of it. I hope so too. I'm very interested in your game. Hope it does well for you guys. How did i miss this? Looks awesome. Grabbing this for sure. Finally! I've been waiting for this game for so long. Definitely picking this up day one. While I have no interest in the game itself at the moment it irks me to see people complaining about the price and comparing it to other platforms. People complain about the lack of games or dead franchises but yet are not willing to feed the industry. Didn't we just have a story about a dev closing down due to not having enough profits to continue despite having a decent amount of sales? How many times have we heard the same story? Outside of the big AAA studio's how many studios stay in business long enough to get more than 3 or 4 games out before closing down or being boughtout? Then we have a million threads on forums crying for sequels, remakes and such for games people were too cheap to support when they had the chance. They probably only wanted exclusive on here. The indie Lineup is FANTASTIC! I'll get Telsagrad down the road, my only day one purchases are Cubemen 2 and Affordable Space Adventure. Like the proactive approach to marketing. Game looks great too I'm looking forward to it. They should list a lot of the other games up there, not just physical retail games. @Frapp cheers, i hope so too. Would be nice to be able to make more games! Nice post. A lot of people don't put there money where their mouth is. I just hope all the people that wanted a new Star Fox this whole time actually buy the new one. Anyway, this is looking like a really cool game. I'll definitely pick this one up. LOL that was hilariously cool. Speaking for myself, I don't currently have much money to put where my mouth is, thanks to two companies (my main clients) I freelanced for several years going bust in the the space of 18 months, owing me for many months work to the tune of several thousand pounds. I've hardly worked at all for 12 months – not nice when you have a family to support. However, I have been playing and buying computer and videogames for over 40 years, have spent more money on them than probably a lot of the readers on here put together, and have long supported and espoused the virtues of indie and bedroom development, having been a bedroom coder myself in the mid 80s. I'd love to be able to buy nearly all the games that are released, but I can't. Like so many people in a recession, I have to be extremely selective about what I buy, which is rarely the so-called AAA titles, and the affordability of even the cheapest indie game often becomes difficult. Please, gentlemen, show a little restraint when throwing around accusations of people being cheap, when you don't know their circumstances or, indeed, motivations. Too bad I have no money at the moment! Man I wish I did. @Frapp Sorry that was a rant and maybe not 100% clear, I was mainly talking about the people that expect all indies to be a certain price regardless of quality or content. I was not saying everyone should buy every game at full price. Whenever a retail game is announced no one says anything about its price, value or anything. The only time people will say i'll buy it in a sale is if said company has insulted Nintendo or cut a feature from the Wii U version. However everytime a indie or eshop games price is announced you get a host of people saying stuff like "looks great but i'll get it in a sale" or " I never spend that much on indies" or my favourite "They will get more sales with a lower price". This isn't exclusive to this site either. On PC, most veteran PC gamers are preconditioned with the "I'll wait for Steam sale or humble bundle" response. Ironicly its this attitude that has pushed the re-emergent indie scene onto consoles in the first place. I also see the same on PSNblog, whenever a game is announced its " No crossplay/crossbuy no sale" or "I'll wait for it to come to PSN+" or "Its cheaper on X console/PC so no buy (even though i don't own said console/PC). This isn't simply "I don't have the money for said purchase", its purposely devaluing the product and the efforts of those who created it implying that its not worth much. Games are luxury items not a public service, you don't like you don't buy, simple. However if you do like and you don't buy or you buy in a way that the creators are not seeing a return of investment then your crippling the suppliers and the potential of future games from said supplier. Its a much wider issues but it still bugs me when i see people reinforcing these negative views of indie/downloadable games. TL:DR - Indie/digital game does not automatically equal cheap price or sale material. Indies should be valued on there own merits not compared to other Indies prices. PS I love sales too . @ollibald...Wow 27K is a lot of man hours, did you guys crowd fund? I have been watching this for a long time and it looks sweet, love the art and story telling style and the puzzle mechanics. I am really curious if you would share what your team would consider a successful sales number on WiiU? I hope whatever it is you far surpass it and count me as a day one supporter. They mention a potential retail release....great....what is the estimated play time for Teslagrad? I can empathise to some extent (your first and second paragraphs). I think with retail games, and particularly the so-called AAA games, there is a perceived higher value by the public. To me, a game is a game, but that doesn't mean there are no market forces to consider. I have also felt for a long time that games are simply too expensive – and if they were priced generally at the same levels as DVD/Blu Ray rrp then they would see a much better return. Virtually all of my most wanted games, that are not either developed or published by Nintendo, are indie games, and for me, that is where I see the best ideas and much of the best hope in a shrinking industry. Indie games – new Nintendo 3DS aside – will have much of my shrinking budget and probably most of my feedback and support in the next year. However, just because an indie developer may be good at making games, it doesn't automatically follow that they're good at selling them – something that one of my favourites, Two Tribes, had to acknowledge this winter. Don't apologise for ranting. It's good to be passionate. We need all the passion we can get in videogaming. Yup, I'm excited. 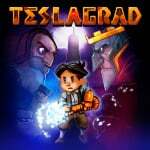 Will be picking up Teslagrad as soon as the eShop updates on the 11th. @Frapp I'm glad we could partially see each others points of view and discuss them intelligently. I hope Nintendo Life run an article on the subject soon so we get some different points of view on the subject and debate some more.